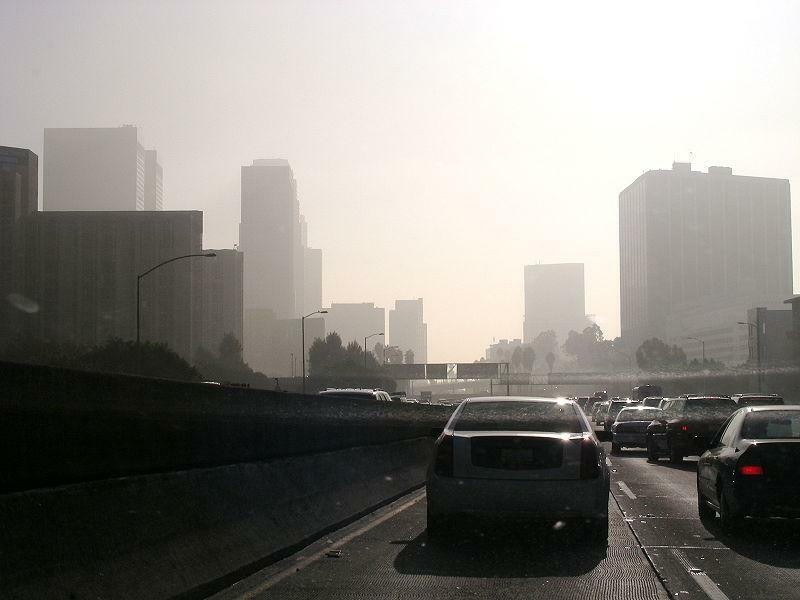 Smog and air pollution around downtown Los Angeles. Ozone way up in the atmosphere... good. Ozone near the ground... bad. SEMCOG (Southeast Michigan Council of Governments) says the air outside could be unhealthy today. The group says "elements have been in place for a few days now – sunny skies, hot temperatures, and southerly winds. Admittedly this is beautiful weather, but the ongoing nature of these conditions is compromising our air quality and enabling ground-level ozone to remain high." Experts say to cut down on the amount of ground-level ozone being formed, you can take fewer car trips (ride a bike, or take a bus) and wait to use lawn equipment. Basically, wait to burn stuff (fuel, wood, charcoal) if you can help it.